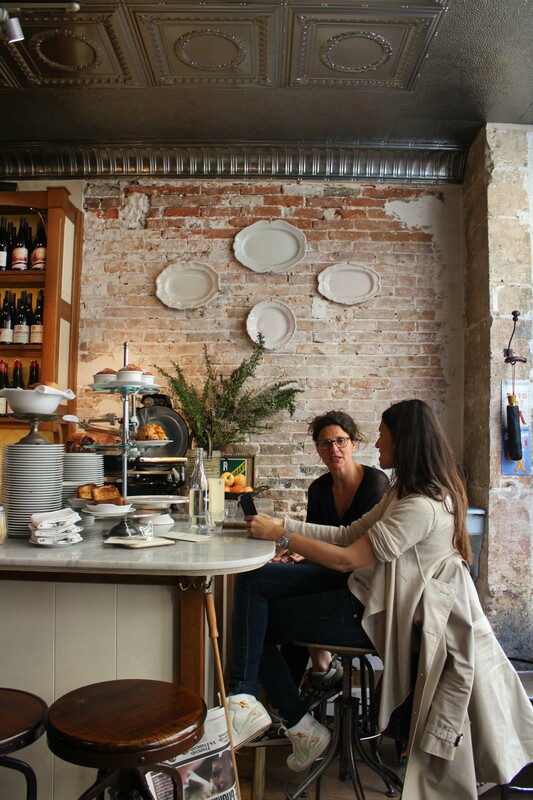 Buvette is a wine bar, restaurant, or simply a « gastrothèque » – a more appropriate term for naming such place opened all day long, from Breakfast to dinner. 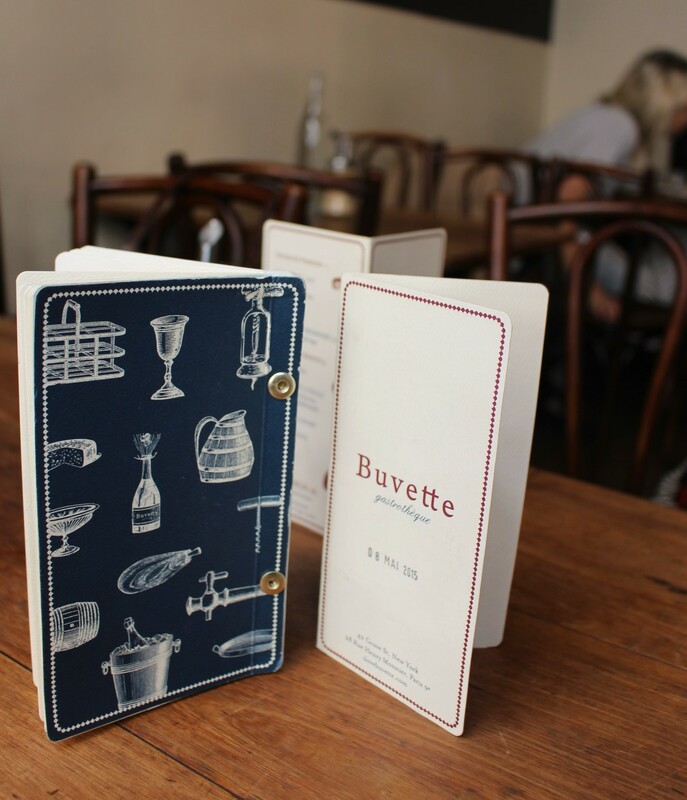 When I don’t want to search for a place, Buvette remains a safe bet in my repertoire. On the menu, good wine, little dishes to share and for cocktails, the Bee’s Knee’s which was unforgettable. For food, if you have friends hating veggies, they will change their mind after trying the roasted Choux de Brussels served with walnuts. When it comes to dessert, I can’t resist taking the creamy, fluffy and crazy chocolate-y Mousse au chocolat. 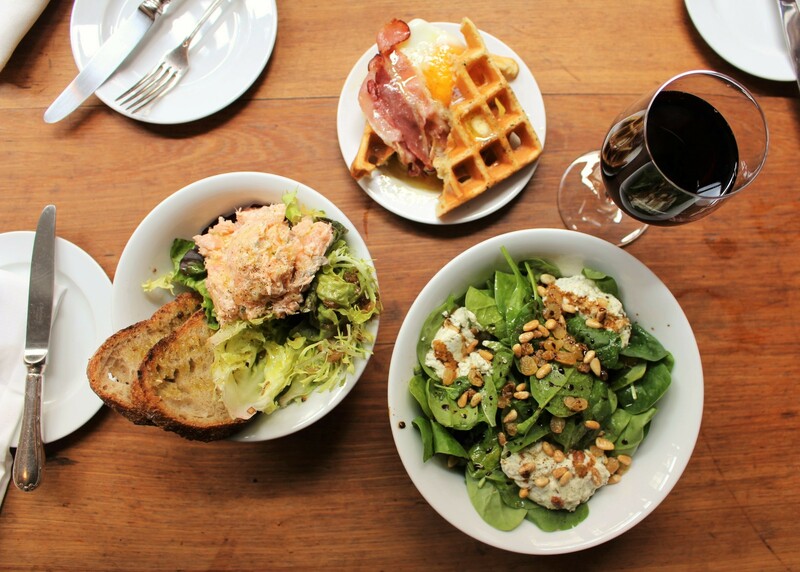 Behind Buvette – Pigalle hides the New York chef Jody Williams who already opened a Buvette in Greenwich Village. I have not yet been to that location but I heard that the food is exactly the same, maybe at the exception of some wine and the coffee, which comes from the local french roaster l’Arbre a Café. 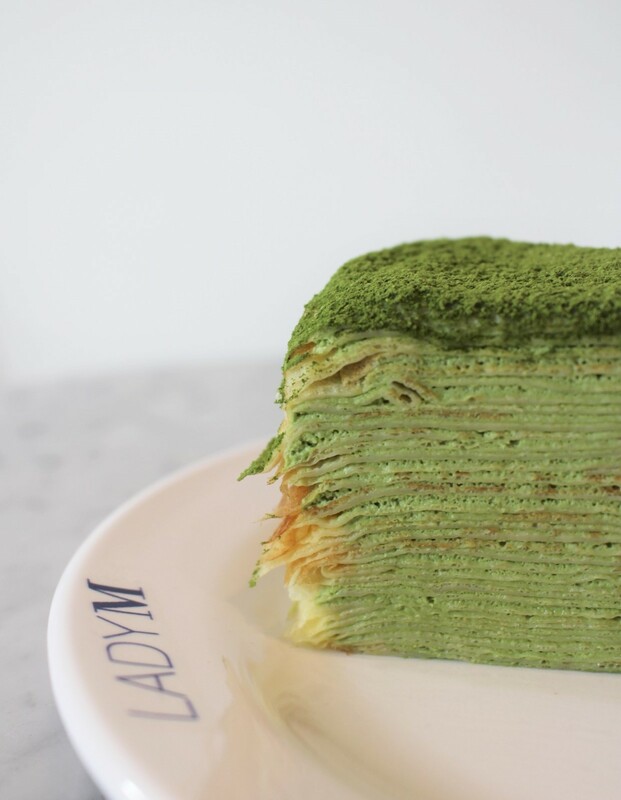 Matcha + Crepe ? The result is a stunning mille layers crepe cake. 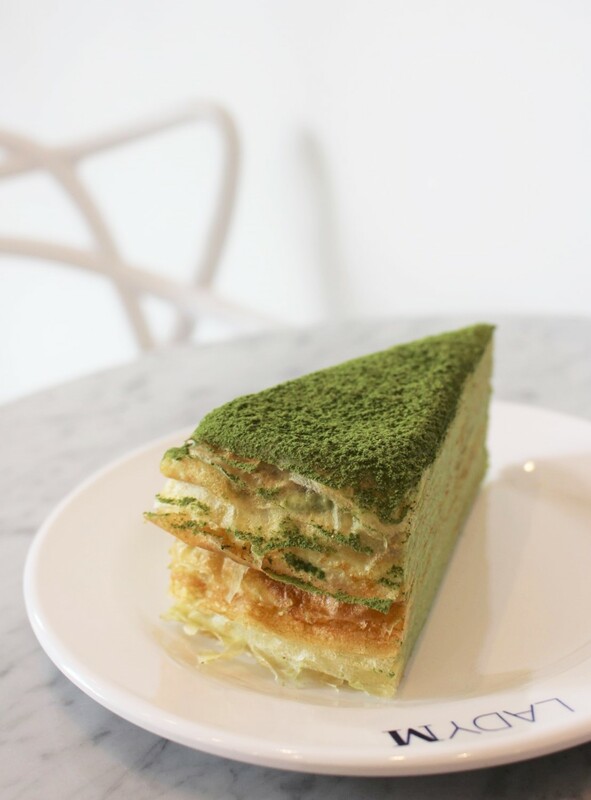 It is Lady M’s signature dessert, made with twenty layers of crepe and pastry creme. I had the matcha version, so next time I will try the chestnut and strawberry flavor! 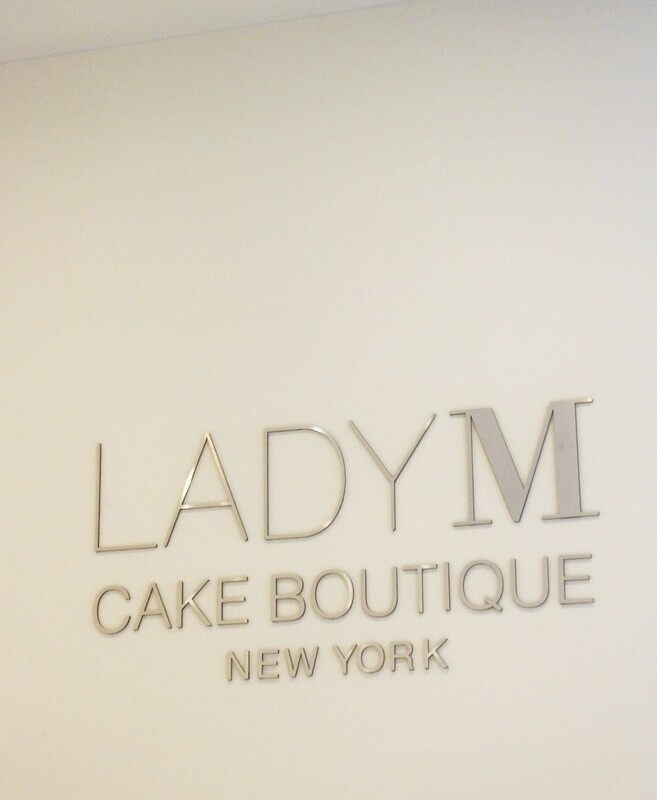 Lady M cake boutiques are in Seoul, New York, Singapour and Los Angeles. I wonder when they will open in France..! Website here. 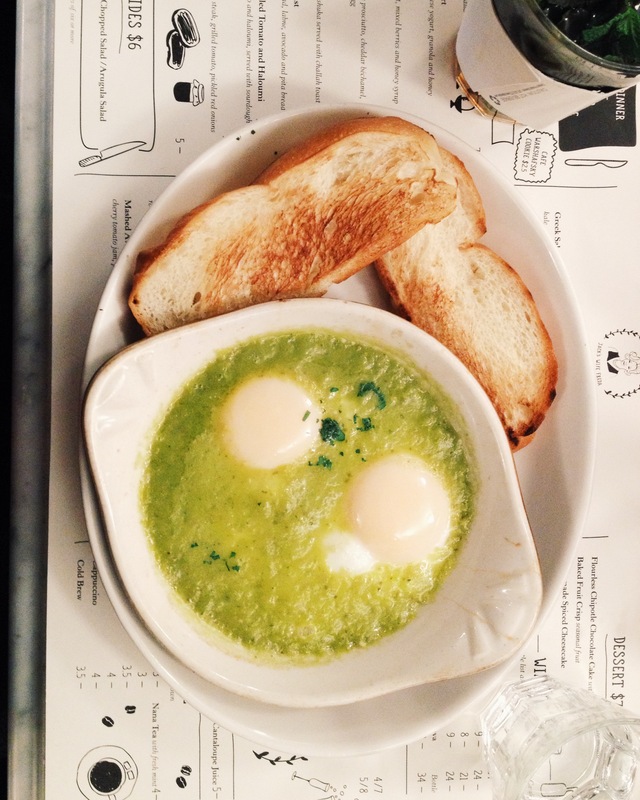 I am posting this article quite late since my journey in New York, but I wanted to share with you the brunch I had at the very popular Jack’s Wife Freda, located on Lafayette Street. Despite early arrival with my friend – plus it was very freezing that day, we waited an hour before being seated. Atmosphere is very lively and warm inside. 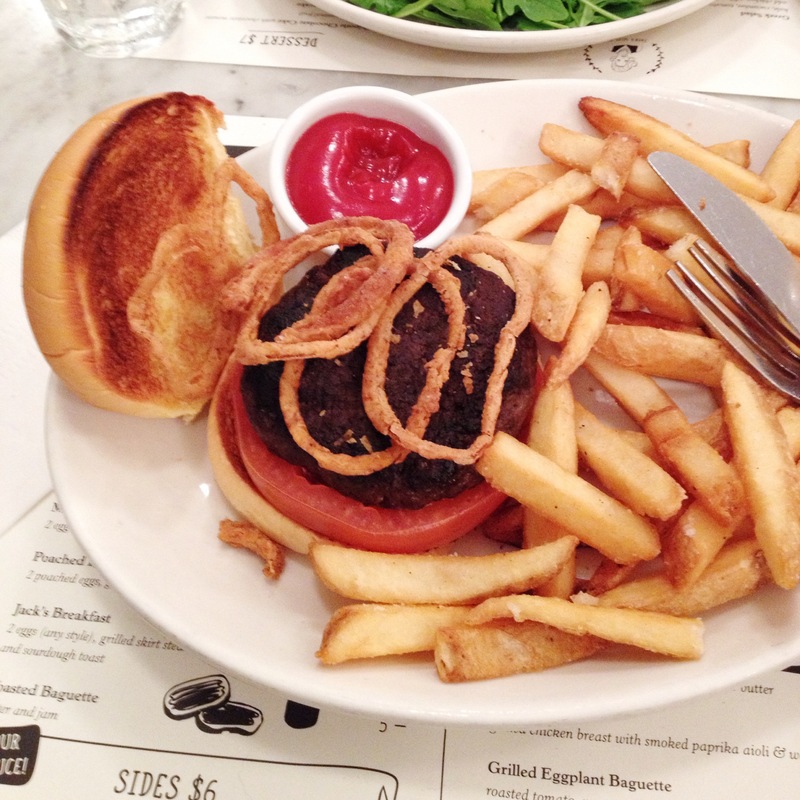 American-mediterranean inspiration dishes such as Shakshuka, halloumi cheese and burgers are on the menu. For those who wonder what shakshuka is, I did not know either before trying it for the first time here, it is a dish made of poached eggs and spicy tomato sauce. And last but not least, I would recommend their Cantaloupe Mimosa ! 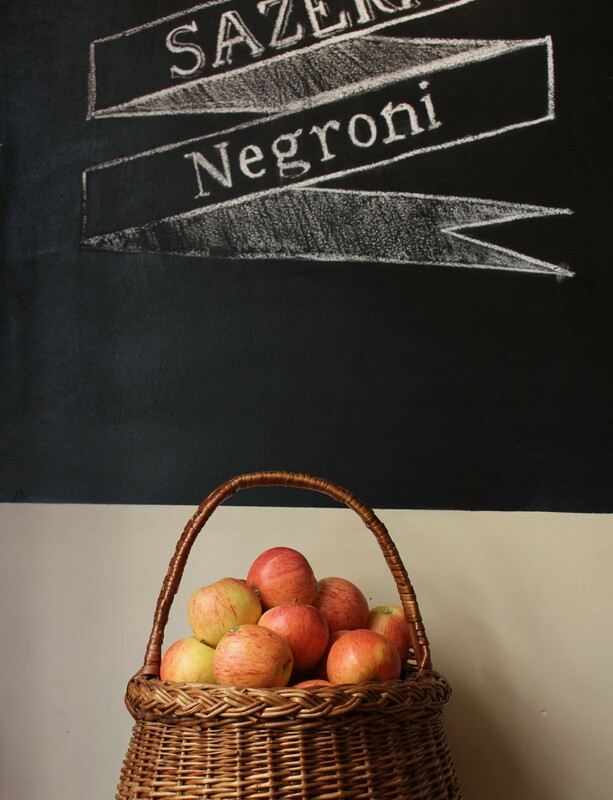 Any alternatives to juice and coffee in New York? Definitely yes. 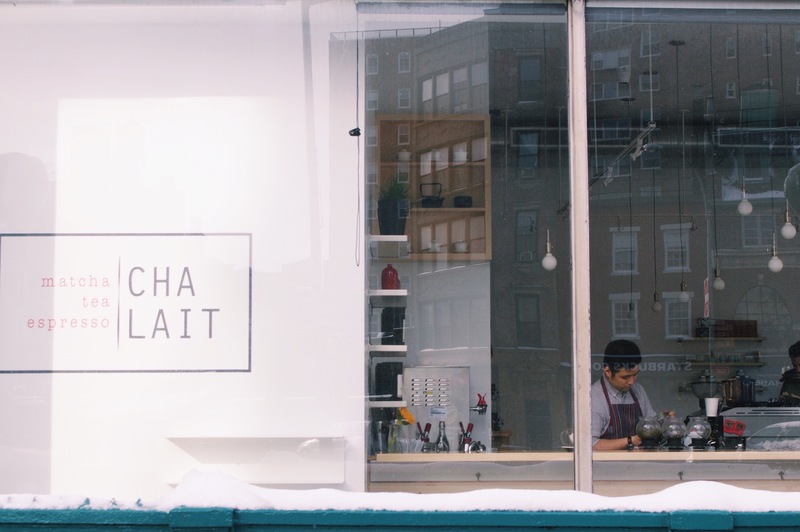 New Yorkers should feel lucky to have places dedicated to this finely grounded powder. 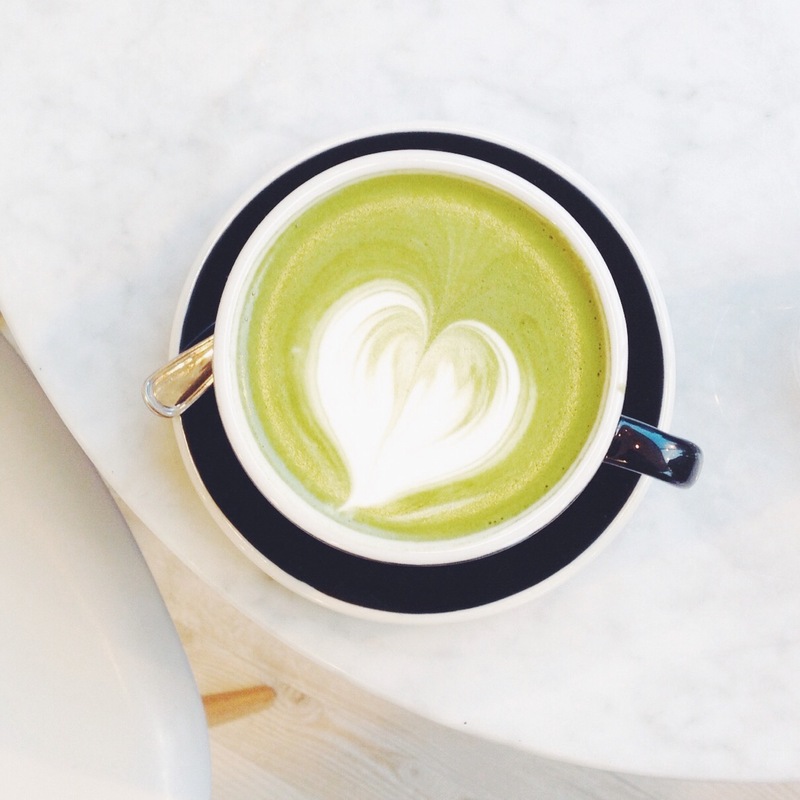 Matcha is considered as a healthy booster, because of the high level of antioxydant without the inflammatory effect of coffee on your stomach. 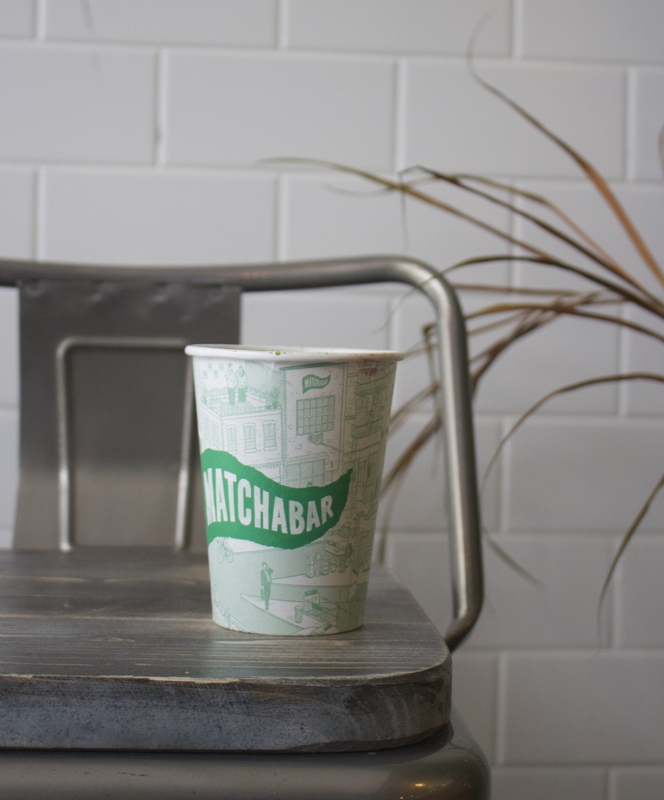 I tried two different places, the first one was in West Village – Chalait and the other place was in Brooklyn: Matcha Bar. If you have matcha for the first time, the taste may be bitter so do not hesitate to add a sweetener like agave syrup. Having already traveled in China, I was wondering what a « Chinatown » would look like. This neighbourhood is located in the Lower Manhattan, bordering Lower East Side to its east, Little Italy, Civic Center and Tribeca. There are many places to eat, and the majority of them are affordable. If you travel on a budget, this area should be on top of your list. First stop was at the famous « Chinatown Ice cream Factory », where they have original flavors like Lychee, Ginger, Taro.. for naming only them. It was very cold when I went there, but enjoying ice cream should have nothing to do with weather. 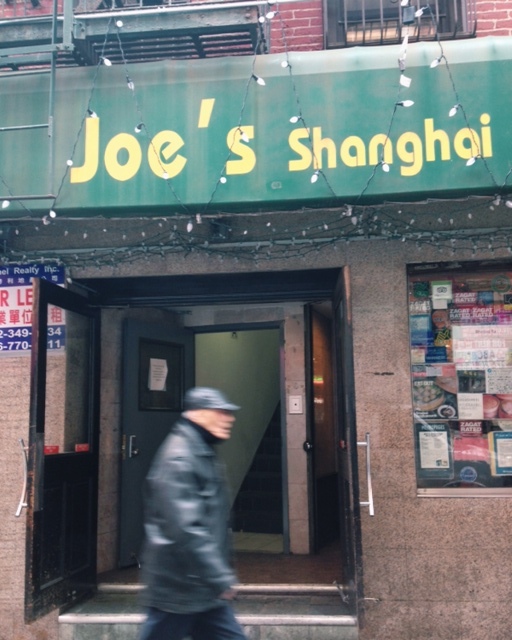 If you are looking for Dim sum, Joe’s Shanghai is the place to go. 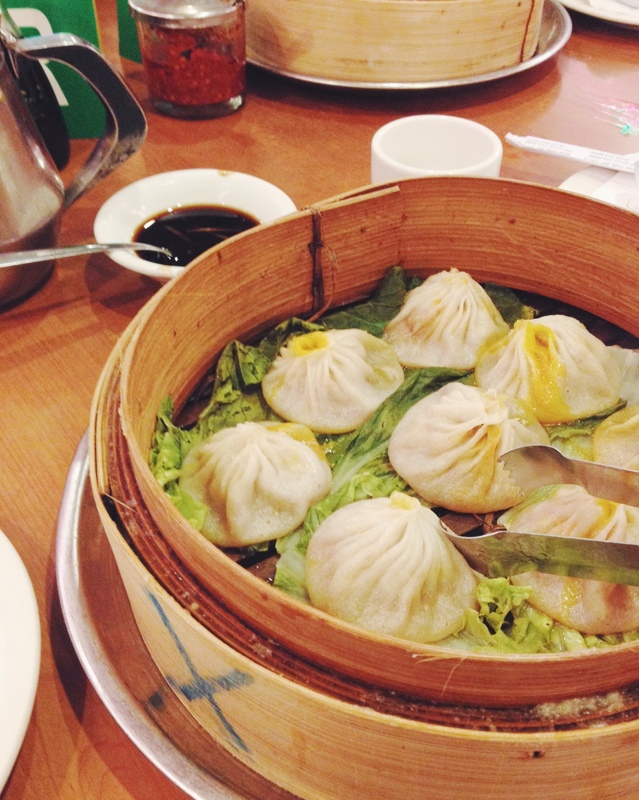 Prices were low, only 7-8$ for the 8 dumplings. There are many tourists, but it has not lost its charm. I saw many bakeries, and entered one randomly. There were so many choices ! I did not know what to take so I had these unidentified green bites. I couldn’t tell what gives them this unusual color, but the black paste must have been grounded sesame. 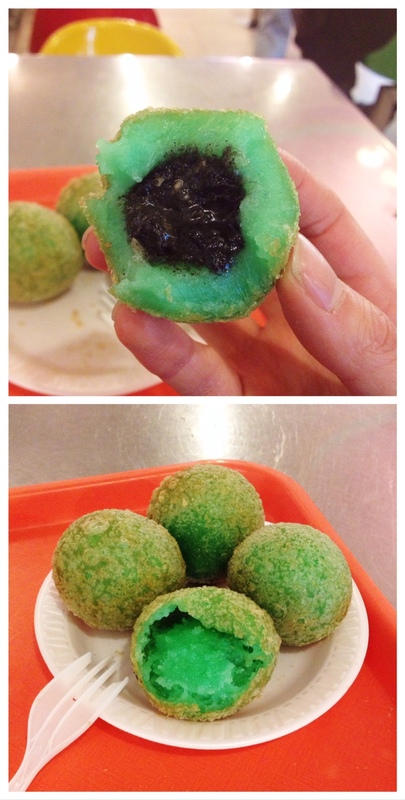 If you are adventurous, it was at Lucky King Bakery, 1$ only for the 4 bites. Manhattan’s Chinatown will be full of surprise and make you feel like you are in Asia for a moment. Exploring this area will take you an entire day. If you have time, go to the Brooklyn’s and Queens’ Chinatown: another part of China on the American continent. 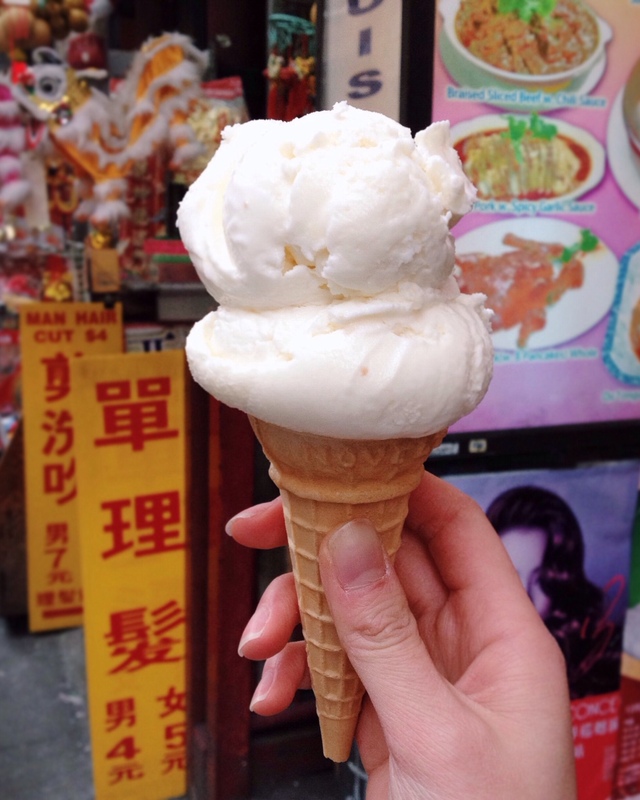 Address: Chinatown Icecream Factory – 65, Bayard St, Joe’s Shanghai – 9, Pell St, and Lucky King Bakery – 280, Grand St.
For those who live in Manhattan, venturing in Brooklyn seems to require more effort and you don’t see why you have to go on the opposite side of the river. Plus, you think you have everything in Manhattan, why bother going so far? 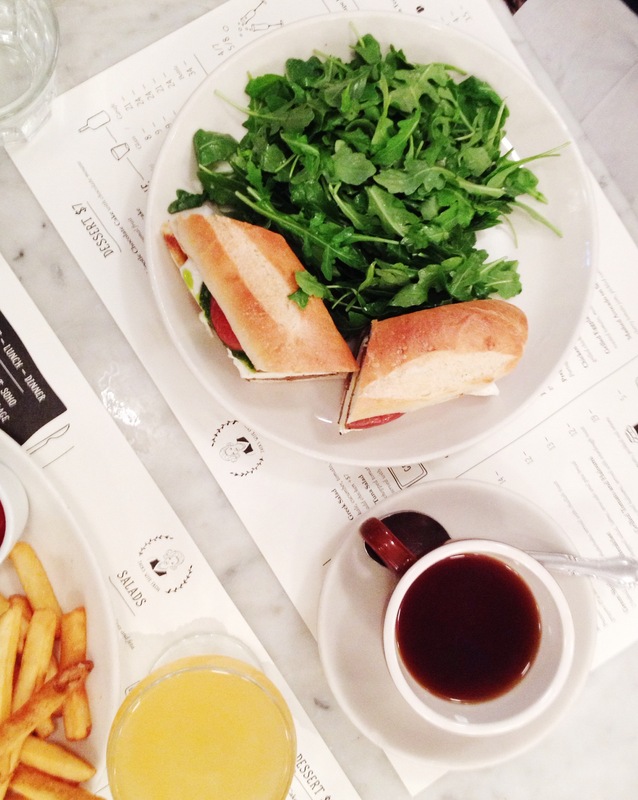 If you discover places such as Maison Premiere, I’m sure Brooklyn will become a more familiar area. I really wanted to try American oysters, and was told that Maison Premiere was the appropriate place. 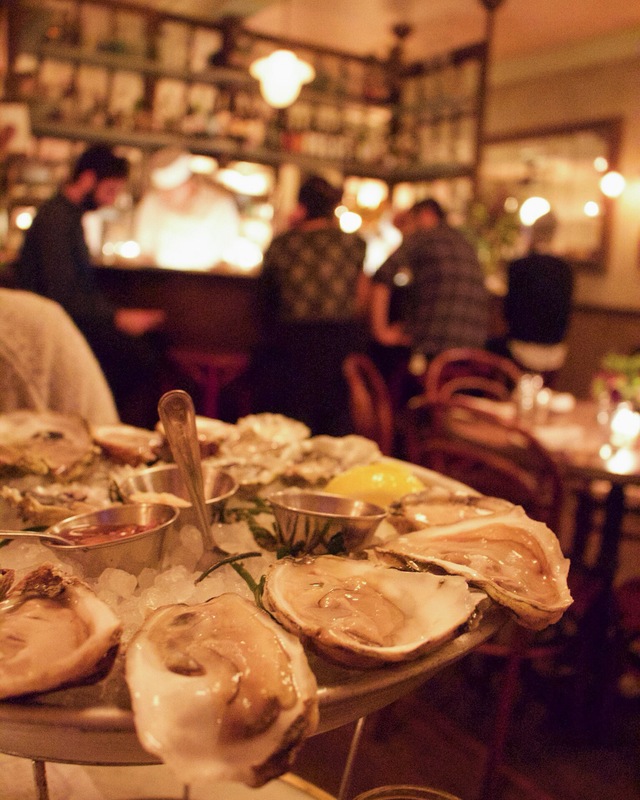 They have an Oyster Happy hour, which means that these gems are at 1-1,25$ each between 5 to 7 o’clock. Entrées taguées New York sur Sugarsheet.